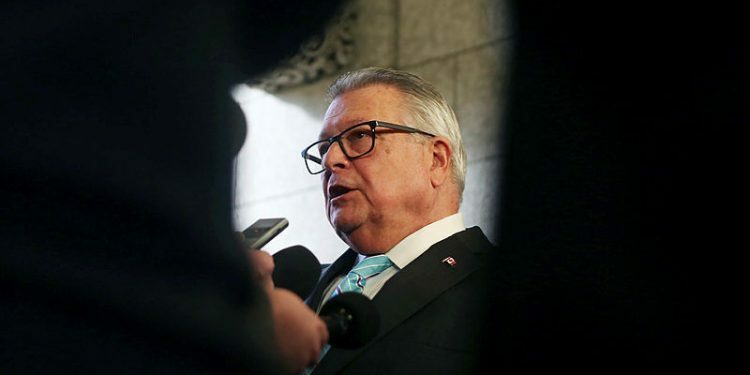 Three weeks ago, Minister Goodale released, for the first time ever, his mandate letter to the newly appointed Commissioner of the Correctional Service of Canada. The new Commissioner, Anne Kelly, is a seasoned veteran of Corrections, having started her career as a federal parole officer before becoming a senior manager over a decade ago. Rendering the mandate letter public was a significant step towards better transparency for this federal agency. Ms. Kelly’s appointment in August is yet another clear signal that the Trudeau government has a distinctly different vision for federal Corrections. Unlike the Harper era’s focus on longer correctional sentences in federal prisons, Minister Goodale has focused on improving rehabilitation outcomes, and successfully transitioning individuals back to the community. This is important because as of an offender’s warrant expiry date, the federal government has little authority to impose conditions or parole on offenders leaving prison. Goodale’s focus has also been fueled by three House of Commons Committees, the Public Accounts, Public Safety and Status of Women, all of which have studied the experiences of female and indigenous offenders. This past spring, the Public Safety and Status of Women Committees each released reports with a combined total of over one hundred recommendations. Their respective reports are both comprehensive and forward-thinking. Correctional Investigator, Ivan Zinger, has characterized them as a new road map for federal Corrections. In 2017, the Public Accounts committee also raked Corrections over the coals for its differential treatment of indigenous federal offenders. The report prompted Corrections to establish Aboriginal Intervention Centres, many virtual, to provide better oversight regarding the fate of indigenous offenders. Clearly, on this basis alone, there is a lot that has been done - and even more left to do, to put it lightly. But to be successful in realizing the vision articulated by Goodale in his recent mandate letter, there are many moving parts which must align. Correctional Services of Canada has been plagued with toxic and troubled workplaces where dysfunction and harassment have festered for years. While significant efforts have been made to address some of this dysfunction at a couple of institutions, such toxicity has had cascading effects for employees who show up to work every day to provide rehabilitative and support services. In several cases, the toxicity persists. Further, there have been no new investments in the parole and program officers who are doing some of the heaviest lifting with offenders. Antiquated technology, zero coverage for program and parole officers who are away sick or on leave, extremely limited clerical support, and a policy of no overtime compensation are creating real challenges inside and outside of Canada’s prisons. In many cases, paperwork is trumping real casework where parole and program officers get to build relationships with offenders. The personal and professional toll on some of Canada’s hardest working public safety employees is immense. In 2012, parole officers were also mandated to take more offenders onto their caseload - thirty in a maximum security facility and 25 at a minimum. This, combined with the imperative to move federal offenders out into the community as quickly (and responsibly) as possible, has created a pressure cooker situation for many federal employees. Expediting parole hearings (no small task given the very comprehensive risk assessments that must be done), monitoring gang activity, conducting an Aboriginal Social History (where relevant), ensuring offenders complete the appropriate Correctional programs quickly, facilitating mental health diagnoses, and transferring offenders to a lower security prison as they progress all form part of the new Correctional reality. Once on the outside, community parole officers are confronted with many offenders who have yet to obtain official government ID, and haven’t received proper supports for mental health and addictions for many years. Prospects for housing and employment opportunities are severely compromised as a consequence, increasing the risk that individuals will return to old habits and crime oriented networks. Finally, health services and cultural programs are rarely funded by Corrections, meaning parole officers are relying on over-subscribed community services funded by the provinces and territories. There is no doubt that Canada’s prisons are overwhelmed with individuals with complex needs, traumatic upbringings and low educational attainment, many of whom have been deeply affected by the long legacy of residential schooling. The renewed emphasis on appropriate rehabilitation and skills acquisition is something that parole and program officers, teachers, librarians, Corcan, and food services employees wholeheartedly welcome. The mandate of Correctional Service of Canada is to, quite simply, correct behavior that has led to an individual being served a federal sentence in the first place. Thankfully, the Trudeau government has returned Corrections to its original function. Now it’s time to fully invest in the public safety employees and services who can make it happen.